Plain text email has a shade of privacy and associated with one-to-one communications like our personal messages to friends or relatives. Plus, plain text emails often mean something important like transactional emails. Instead of relying on link clicks to estimate your mobile audience interest, look at the “Email clients usage” report provided by G-Lock Analytics to get the exact picture. 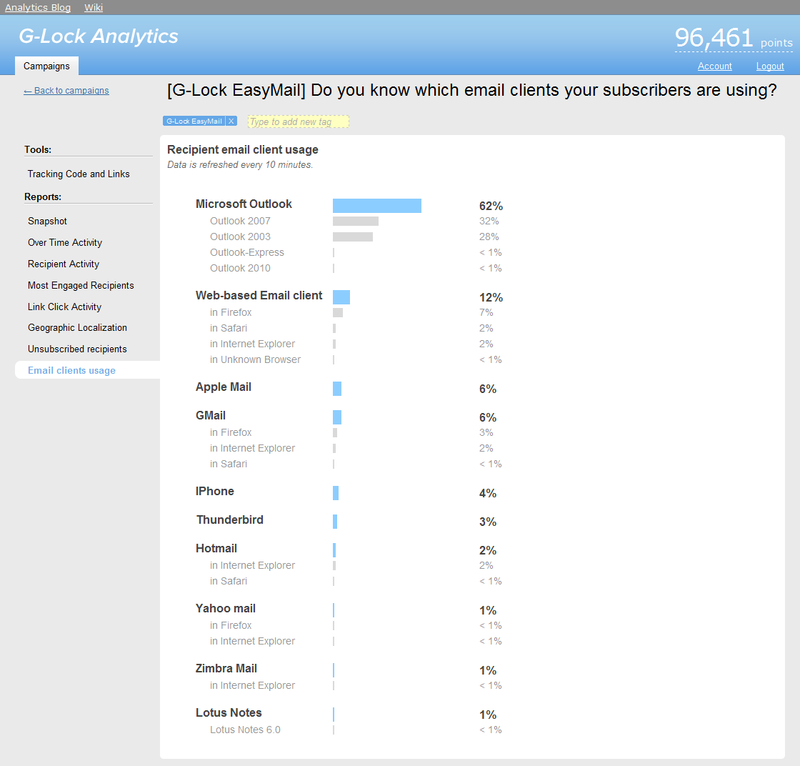 If you don’t have an account on G-Lock Analytics yet, create it now for free and start tracking your email marketing campaign right away.